A story that many young reluctant swimmers will identify with. 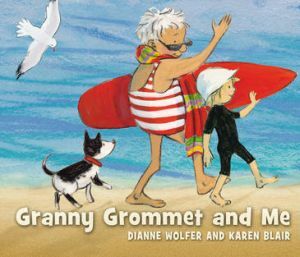 My granny and her friends go to the beach, and I go too. When they hit the surf, they duck and dive and twist and turn. It looks like lots of fun. But I don t want to go in the water. There are strange things under the waves.